Surprisingly, perhaps, I'm not what you'd consider a bookworm. I wish I had the time to read but more often than not I need to be crafting my own words, rather than reading others. However, over the last few weeks I've been trying to break that habit as I start to review a collection of books on the lead up to everyone's favourite time of the year to receive one from relatives - Christmas. In this first review I'll take a look at ‘The Mechanic’ from ex-McLaren employee Marc Priestley, as he sets about captivating you with tales of 'life on the road’. If you don't recongnise the name you might recognise the face, as Marc has since worked as a pundit for the likes of the BBC, ESPN and SKY sports. His unique insight a key asset when broadcasters want to get under the skin of the action and have someone explain what it's like for those that work behind the scenes. The opening chapter details the early life of Priestley as he wistfully recounts his first skirmishes with Motorsport and how the challenge of working in the lower tiers of the sport helped to ready him for the challenge that lay ahead. Even so it's the stories that surround his rapscallion nature that permeate almost every chapter, as we learn how the carefully crafted pranks, occurring behind the scenes, not only helped him to garner close and lasting relationships with drivers but also got in him trouble with the higher ups on more than one occasion, requiring him to use a well earned 'Get out of Jail free card' at a latter point in his career. Set in the heady tobacco sponsored heyday, of which West were their cash cow of the time, he talks openly about the lavish parties put on by sponsors but also the ‘boys about town’ mentality that being part of the pit crew in the noughties was all about. Alcohol fuelled evenings that often got out of hand but offered solace to those who have to work relentless hours, away from home - oft forgotten heroes, as the drivers reap the adulation of the fans after a win. 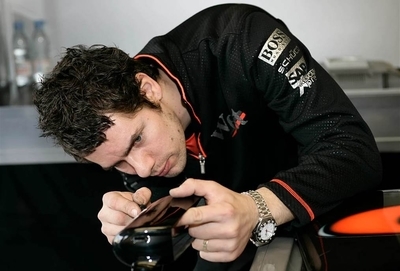 He also reminds us of the hard fought times that almost saw their latest Finnish starlet - Kimi Raikonnen, with whom he clearly had a close bond, rack up championships with McLaren before finally succeeding with Ferrari. You feel compelled to turn each page and hope to understand how much damage to the psyche is being done, when gut-wrenching failures or mistakes happen as you begin to understand just how many people and factors are involved in keeping those two cars circulating around the track. Of course the fractious nature of that season wasn't the only turmoil to engulf McLaren in 07, with ‘Spygate’ a major talking point and covered well from his perspective. 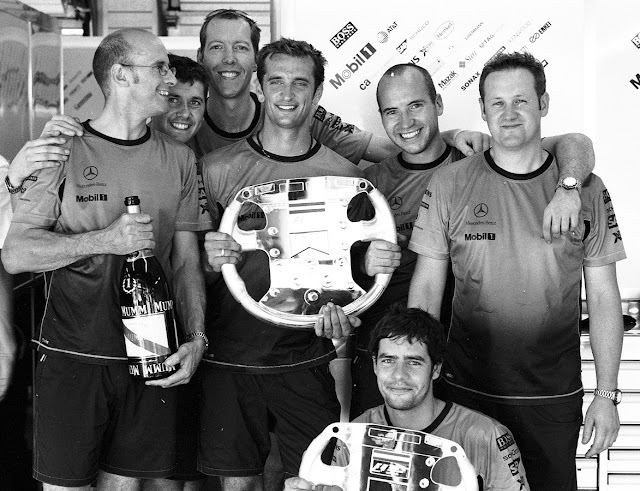 I must say that Marc does well to convey the various characters that he crosses paths with throughout the book, bringing the likes of Kimi, Martin Whitmarsh, Dave Ryan and even Ron Dennis into context - although I must admit that the phrase ‘inner Ron’ did make me smirk a little more than maybe it should have. Overall the book is a well crafted account of his ascent through the ranks at McLaren, as he explains the trouble he managed to get himself into, the relationships he made, the agony of missed opportunities and the thrill of being part of a crew servicing a car that has just attacked them at motorway speeds. 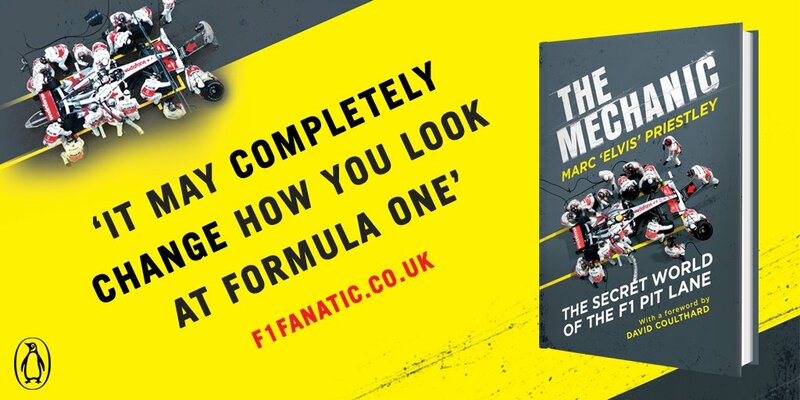 I'd recommend it for both the ardent F1 fan and those with just a passing interest, as whilst Marc does a fantastic job of explaining the intracasies of the sport when needed it's the underlying story, characters and insight that make it a great page turner.